Fall home decor options are getting out of hand, and I love it. You can do entire harvest, woodland, farmhouse, playful, or even glam themes (have you seen the mini lace and glitter pumpkins at Joanns?) for any room in your house. 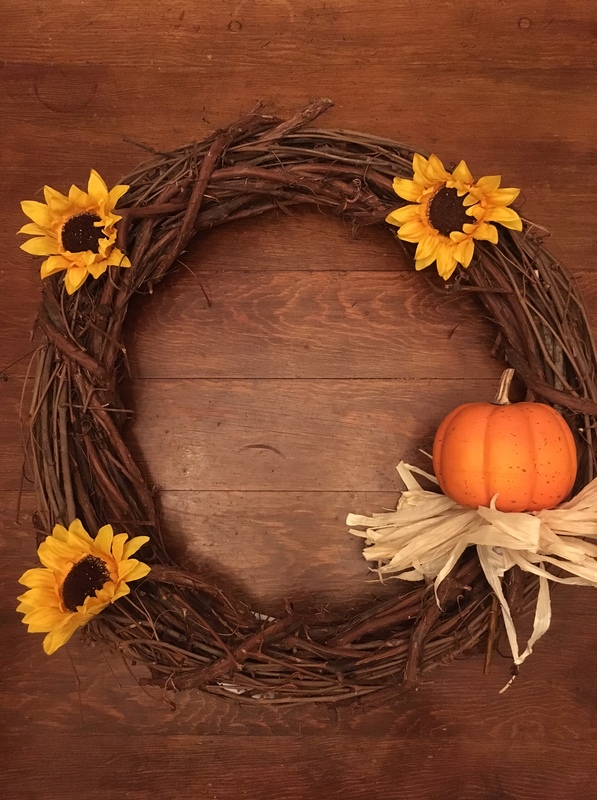 Some home stores are putting up their autumn displays as early as July, and even the craft supply stores compete by offering themed dishtowels, charger plates, and ready-made wreaths. And off I went to Michaels (with coupons, of course). 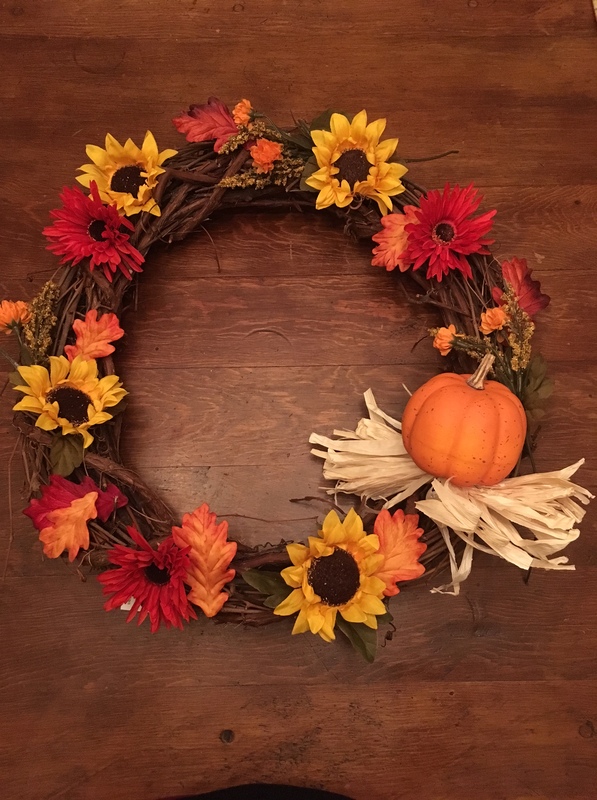 Keep in mind, I did this in August, when their Christmas craft supplies are starting to roll out, so to make your fall crafts, you’ll want to get there sooner in the summer season for the most options; if you’re looking for bigger sales at the risk of smaller selection, wait until their end-of-summer sales. Also, it’s nearly impossible for me to keep track of those paper receipt coupons that print out, so I downloaded their app. For this purchase, both “40% off one item” and “25% off entire purchase” options were available. Find flowers that coordinate in the same color family. I love sunflowers paired with anything deep red. If you don’t already have a glue gun, pick one up while you’re there. If you’re on a budget, the cheapest one is a basic mini glue gun ($2.99), but just be sure to get the mini glue sticks, not regular size. 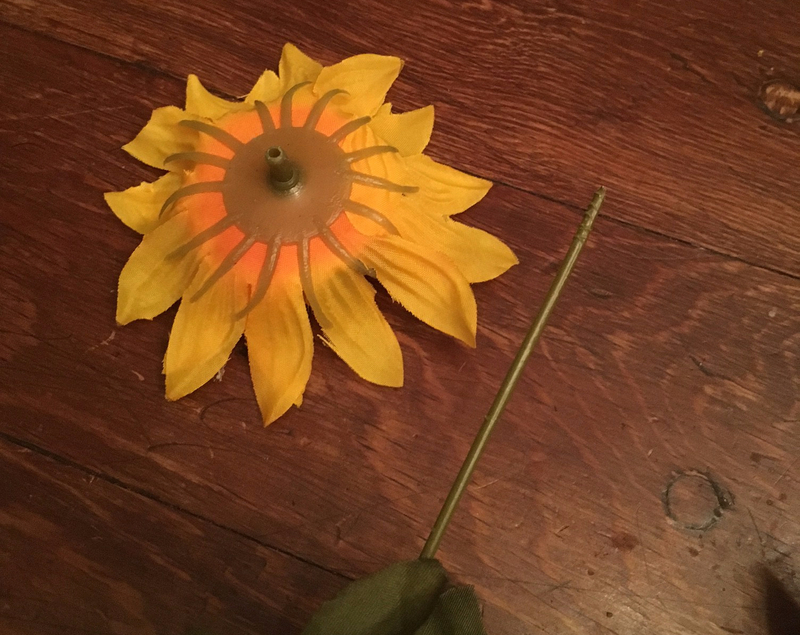 There are prettier options if you prefer to spend a little more on the larger glue gun. 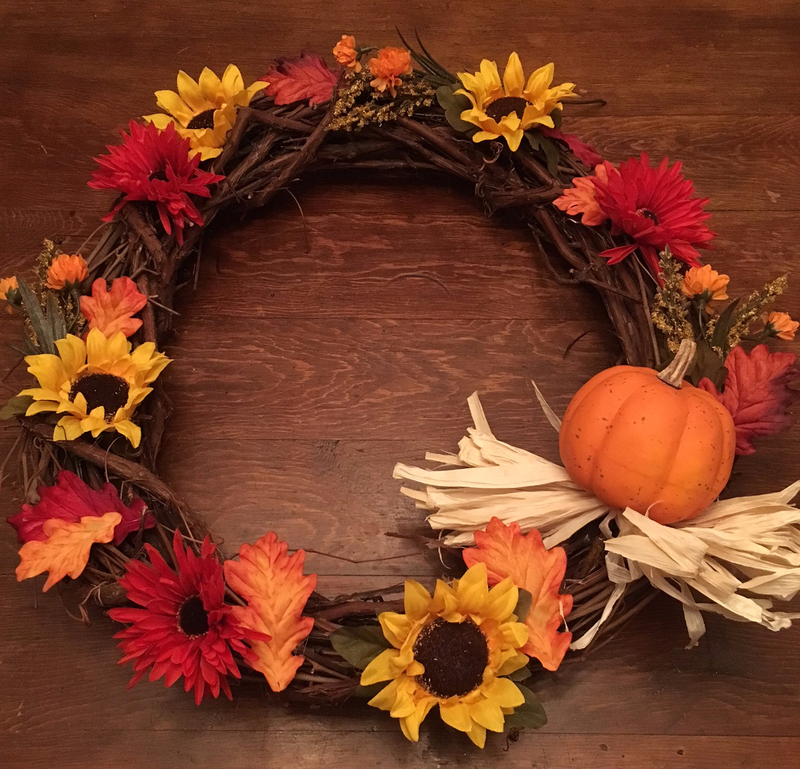 Set your wreath on a table top. You’ll first want to decide placement of your statement item. Try placing it at 8 o’clock, 6 o’clock, or 4 o’clock. I put my pumpkin pick at 4. Then, begin popping the heads off the flower bundles. 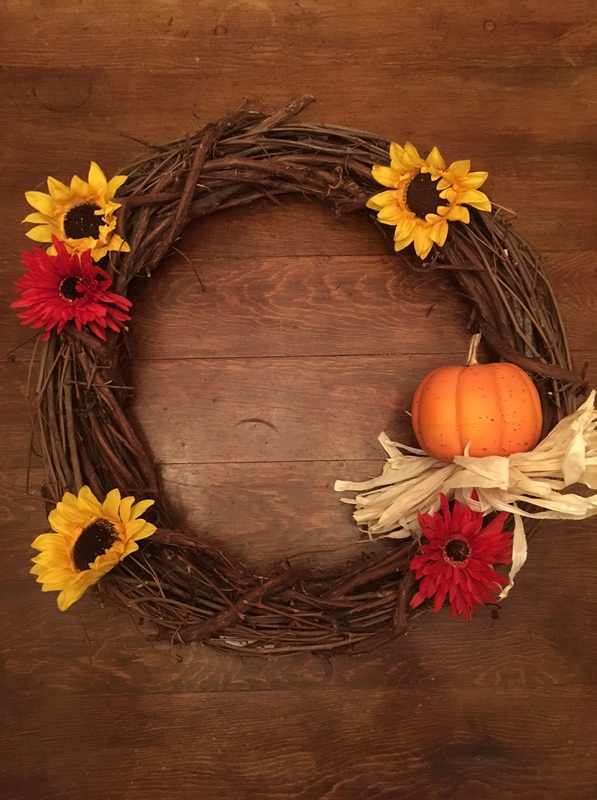 I started with the sunflowers, placing each one sporadically around the wreath, then popped off a few green leaves from the same stems and added them behind the flower. Don’t glue them yet, as you might want to move them around as other items are added. Then add the other flowers. Play around with it — try next to each other, space apart, etc. 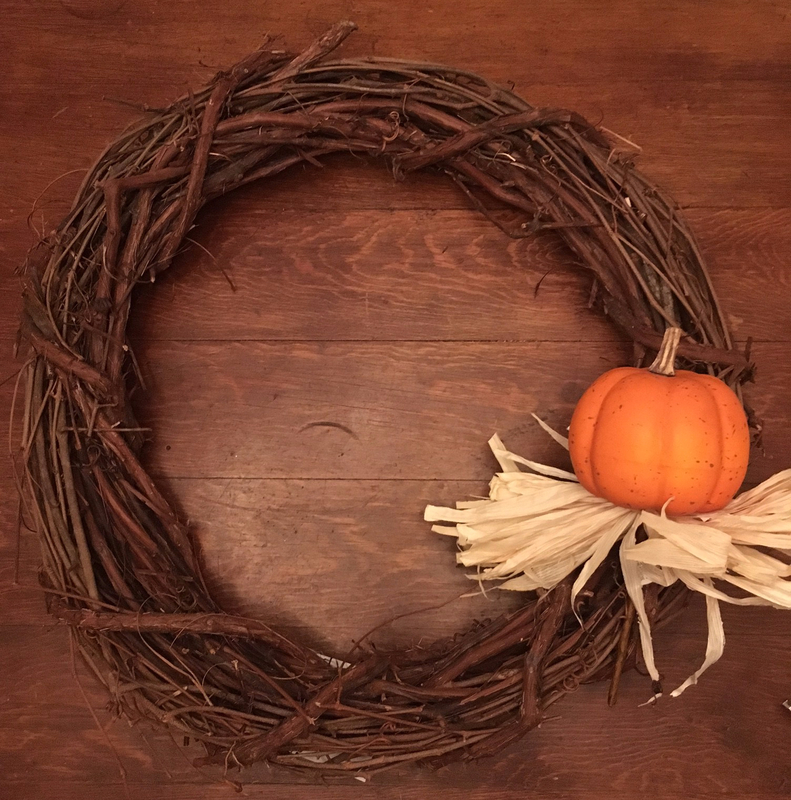 The best wreaths aren’t usually symmetrical, so don’t get stuck in doing mirrored placements. When you’re satisfied with placement, it’s time to start glueing. 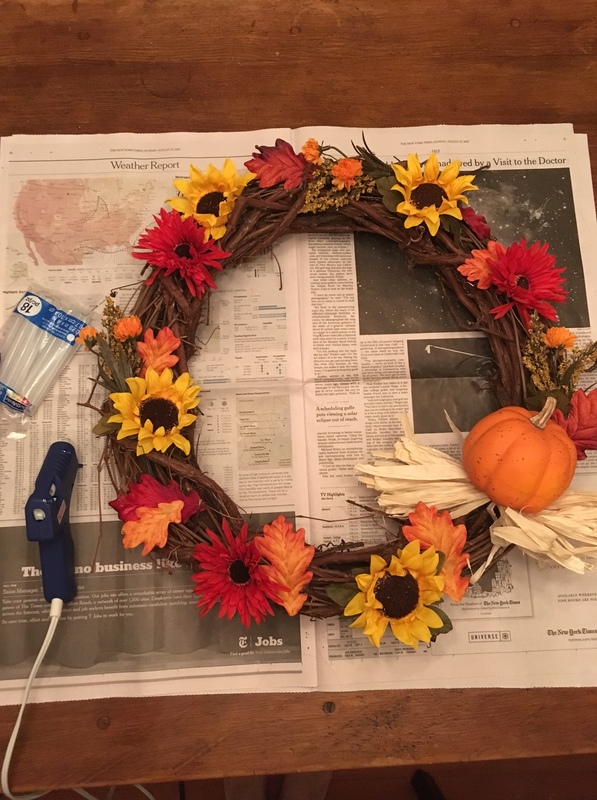 Protect your tabletop with some newspaper (glue guns can drip or leave web-like glue strings) and adhere each item into place. Thank you! 😊 I almost opted for a big burlap bow, but couldn’t resist the pumpkin!